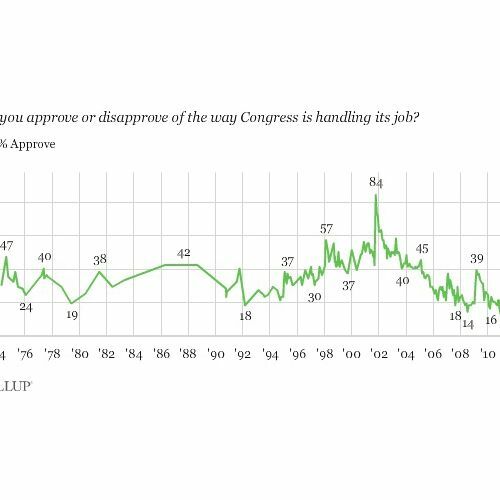 Only ten percent of Americans approve of Congress right now, which is tied, with February 2012, for the all-time low in the Gallup poll. We guess none of you ingrates appreciates all the work Congress put into renaming those post offices?? ?